Country music is known for big hair and even bigger fun. Dolly Parton’s home state of Tennessee is calling your name! 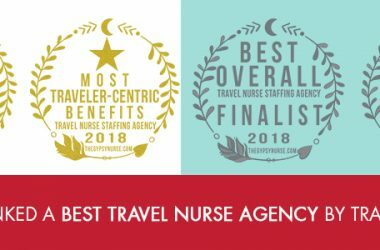 Let GIFTED plan your next big adventure and help take your nursing career to the next level. 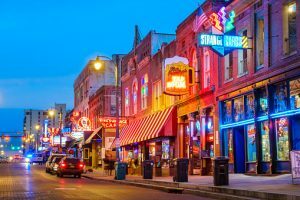 Check out these hot cities below where GIFTED has high-paying travel, local and LTAC contracts as well as per diem shifts available in the beautiful Smoky Mountains. No Tennessee guide would be complete without mentioning the birthplace of Rock’n’Roll. Check out Elvis Presley’s grand estate at Graceland with an audio tour narrated by John Stamos. Grab a world famous rack of ribs at Central BBQ (can you say yum) and see how Tennessee’s culinary style suits you. Walk in the same halls as Johnny Cash, Roy Orbison, Jerry Lee Lewis, and even Bob Dylan during your trip to Sun Studios. Originally called the Memphis Recording Studio, Sun Studios is now known as the most famous recording studio in the world. And any child at heart will love the daily duck parades at the Peabody Hotel. Cozied up in East Tennessee on the edge of the Great Smoky Mountains, Pigeon Forge has something for every budget, personality, and schedule. Dollywood is the main event in town and offers children’s rides, roller coasters, water attractions, entertainment, and crafts every day of the week. You’ll literally flip for the upside down amusement park Wonderworks. This indoor attraction is perfect in any weather and offers 35,000 square feet of exhibits that challenge the mind and encourage the imagination. Enjoy live bluegrass music and a sip of mountain history at the Ole Smoky Moonshine Barn as you unwind after a long shift(s). Pull out your favorite cowboy boots and get ready to stomp and holler. Honky Tonk bars are a staple in county music culture and The Sutler Saloon is the place to see. Enjoy a night on the town or the bluegrass brunch after a horse taxi ride from downtown. For a more relaxing experience, take a trip down to the Nashville Farmers Market where you can pick up one-of-a-kind gifts at the winter market featuring work from incredible local artists. Did you know that Nashville even has the world’s only Cupcake ATM with new flavors of fresh baked treats available 24/7?!? Quietly nestled between the state lines of Tennessee and Virginia, Bristol is the state’s best kept secret. 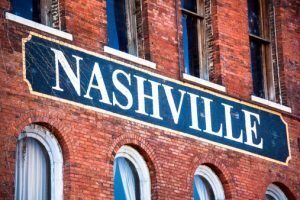 Immerse yourself in the rich history and culture of the city by visiting The Birthplace of Country Music Museum on your day off. The outdoor enthusiast will love exploring boating, skiing or fly fishing in South Holston Lake. NASCAR fans can rev their engines at the Bristol International Speedway and be sure to check out the Appalachian Caverns to experience the magnificent chambers and ever changing caverns. GIFTED has RN opportunities available in various specialties right now across the state of Tennessee. Click here to view all Tennessee openings.